Gopalkrishna Gandhi had also been considered as the opposition's choice for the President of India, who will be elected next Monday. Sources say Gopalkrishna Gandhi's name was the only one discussed for Vice President pick. 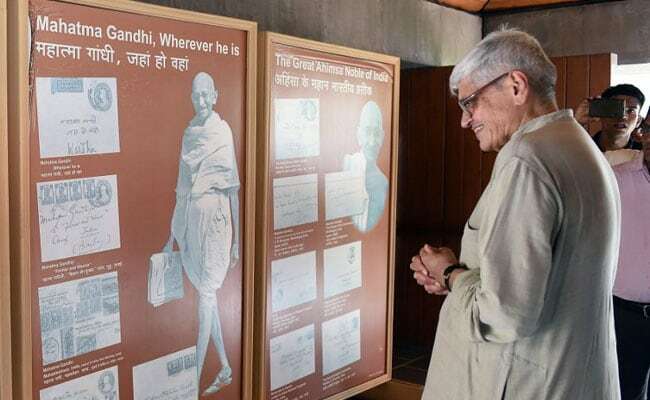 Eighteen opposition parties have selected former Governor Gopalkrishna Gandhi, the grandson of Mahatma Gandhi, as their candidate for Vice-President of India. "He has agreed to be the opposition's candidate for Vice President," said Congress chief Sonia Gandhi, who chaired the meeting. Attendees who asked not to be named said Gopalkrishna Gandhi's name was the only one discussed. He had also been considered as the opposition's choice for the President of India, who will be elected on Monday. However, the anti-BJP front dithered over its nomination and eventually selected former Speaker Meira Kumar for that election. The delay - in particular by the Congress, which pivots the opposition bloc formed to challenge the BJP - allowed Bihar Chief Minister Nitish Kumar the wriggle room to defect to the BJP's side. He said he would support its candidate for President, Ram Nath Kovind, who was Governor of Bihar till he was announced as the BJP's contender for Rashtrapati Bhavan. Nitish Kumar was attacked by the Congress and Lalu Yadav - both his allies - for supporting the BJP. In his defence, his aides said that early last month, when opposition leaders met at the 94th birthday celebration for M Karunanidhi in Chennai, the Bihar Chief Minister had made it clear that Gopal Gandhi was a welcome choice. However, the Congress, in charge of pulling parties together, waited on the decision. In the meantime, the BJP picked Ram Nath Kovind, leaving Nitish Kumar with no choice but to back him, said his aides. It is to prevent a repeat performance that the opposition is moving faster to make its choice for Vice President, who will be elected next month. Nitish Kumar's earlier approval of Gopal Gandhi was a major plus for his candidature. Nitish Kumar caused the bloc some palpitations by skipping today's session, though he sent Sharad Yadav, his party's other top leader, to attend the summit. The Bihar Chief Minister has also stressed that his voting with the BJP on the matter of President is a one-off and that he remains committed to the opposition league that he helped form in April. Today's meeting included representatives of Mamata Banerjee's Trinamool Congress, Mayawati's Bahujan Samaj Party, Akhilesh Yadav's Samajwadi Party. Rahul Gandhi, whose mother is the Congress chief, was also present along with former Prime Minister Manmohan Singh.